We have plenty of volunteer and service opportunities in progress! We will be learning about coding with our technology teacher Mrs. Martell on Friday, December 18 from 9:30-10:15. Please respond to me directly, via email, if you can help out. We only need three volunteers, so the first three to respond are hired! Our student council is collecting NEW WITH TAGS winter pajamas in any size for children in need! Your donations with be paired with a book donated by Scholastic for each child in need. Pajamas are being collected in the school lobby through December 17th. Please also visit the school lobby bulletin board for an opportunity to assist families in our community by providing holiday gift cards to friends in need. Thank you to our mystery readers! Reagan's mom, Shannon, and Bella's mom, Amanda, who recently visited to share two hilarious books with a culinary focus, Dragon Loves Tacos and Turkey Trouble. 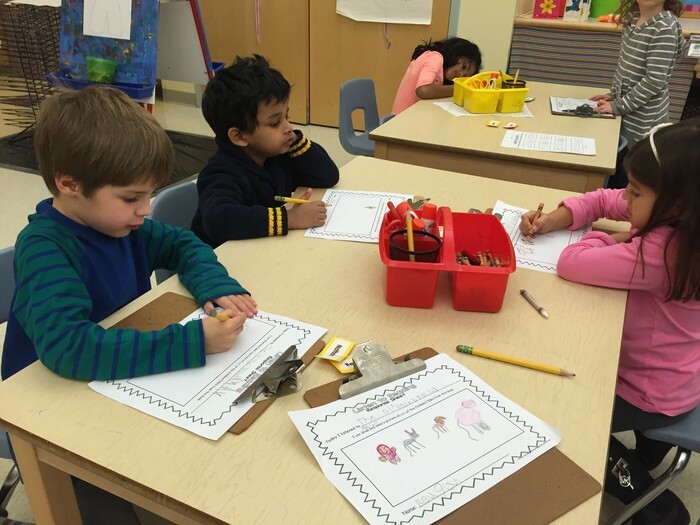 12/9 - Kindergarten Conferences/day 3 - No Kindergarten in session. No PM KASE. 12/22 - Welcome to Winter Craft Day in Kindergarten. We've been learning about shapes. We discovered that a square is a special rectangle with four equal sides. If anyone wants to come in and guest-teach right angles, our door is always open. In addition to our original symmetrical pattern block (multicolored shapes) turkey art, we are in the process of decorating a life size gingerbread boy and girl with lots of shapes! We've been working on connect the dots puzzles to practice our number recognition and what comes next/one more counting skills. We also discussed even and odd numbers and practiced some more skip counting. We have begun reading different versions of The Gingerbread Man. We discussed the characters in each version and compared the plots to one another. We also made predictions about what would happen to The Gingerbread Baby. Our morning message has been missing lots of words each day. The kindergarten has taken on the job of filling in the missing parts. 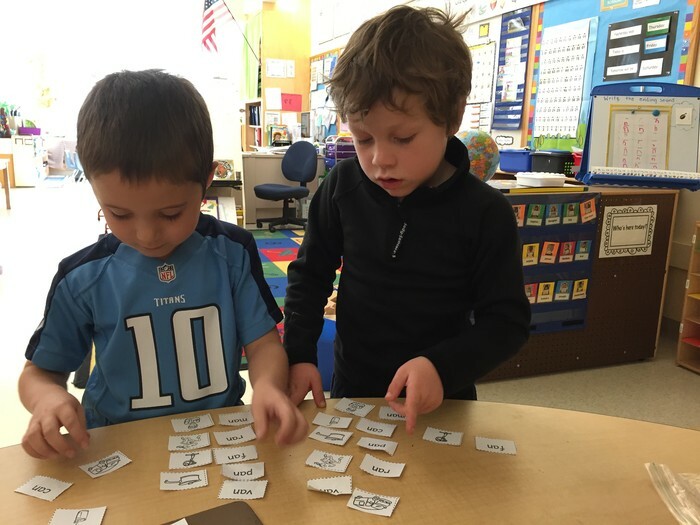 We began looking closely at words that end in -AN. We came up with lots of words in the -an family and can read them all just by changing the beginning sound. Make your own Gingerbread Man Counting book! Just for fun: Decorate the Gingerbread Boy! The things kids say. For real. 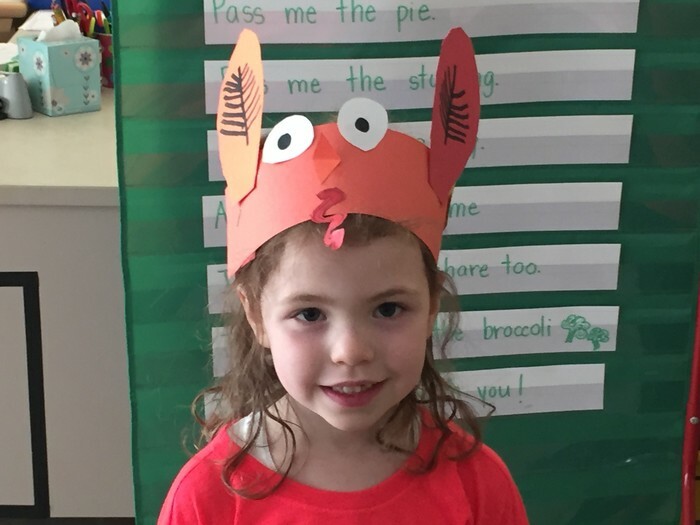 Before creating your Thanksgiving placemats, I asked the children to help make a list of things that make us feel grateful. Here are some of their unprompted responses to the question "what are you thankful for?" My mom, my brother(s), my sister(s), my family, my dad, my friends, my school, my house, airplanes, my pants, pencils, my dog, electricity and stuffing.